Good pictures are successful because they are perpetually iconic. Example below. On the left is a recent picture I took on a job in Turkey. 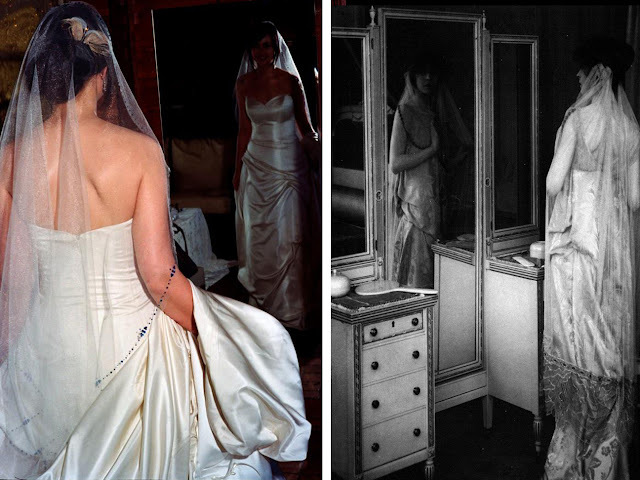 To enumerate: picture on the right is a random 1920’s American image I found while looking at ancient wedding photographs for inspiration. While the one on the right is a picture I shot on a job. I gleefully gasped at the similarities. These pictures have staying power. Properly done documentary-style photography never loses relevancy. Your wedding pictures should have the staying power of any other well-made art form. When it comes to real photography, spend wisely on something that has 100 year staying power. If this comparison doesn’t prove it, I don’t know what does. Left photo by Angela Cappetta, shot in Ankara, Turkey 2010. Right photo, unknown, found in research files.